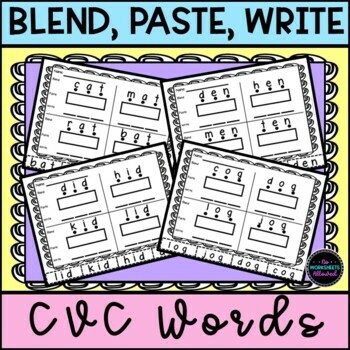 Teach your students to read and write CVC words with this fun phonics activity! 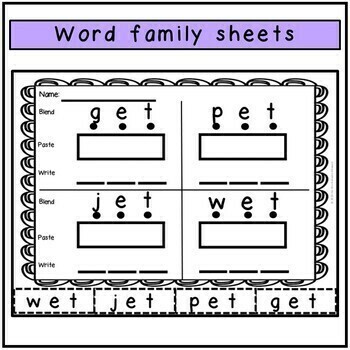 Children should blend to read the words, cut and paste the words into the correct boxes and finally write the words. 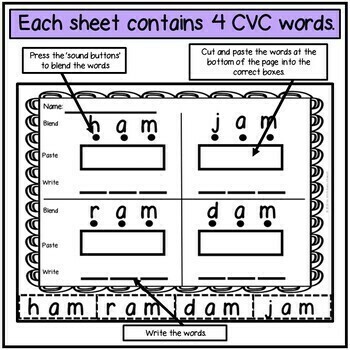 FUN hands-on learning for your literacy centers! 1. Press the ‘sound buttons’ underneath each sound and blend to say the words. 2. 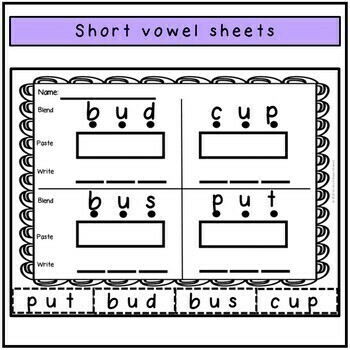 Cut and paste the correct words into the boxes. 3. Write the words. Children who struggle to write could make the words with magnetic letters instead! Thank-you so much for looking at my resource! If you have do decide to buy and have a spare minute, I would really appreciate it if you could provide feedback. If you have any questions or requests please use the ‘Ask a Question’ tab. Don’t forget to follow me to receive product updates and details of sales! For more great resources visit my store!